“I knocked on doors at radio stations for them to play my song,” Jam said of the '90s. Now, Spotify has globalized Latin music. "It's quite different now." 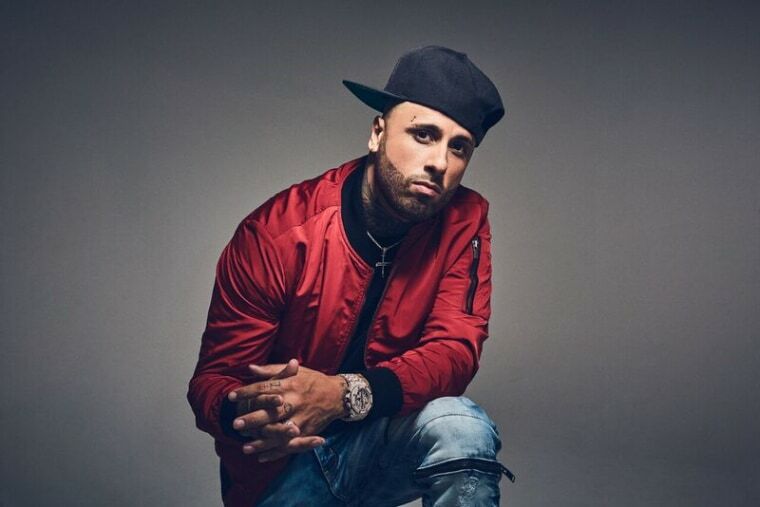 It wouldn't be surprising to recognize Nicky Jam’s single “El Perdón” without knowing a single word of Spanish. The title may not be familiar, but the tune is easily found on popular Spotify playlists like U.S. and Global Top 50 — the same playlists that include Drake or Beyoncé. Surprising, for some; but for Jam himself, he says he saw the streaming revolution coming. “I know our numbers,” he told NBC News. The music video for his latest single "X" with J Balvin gained 200 million views in two weeks on YouTube, he said. Since then, the video has more than doubled in views, debuted at #1 on YouTube's global music chart, and remained in the top 10 on Spotify's global chart more than a month after its release. "Not even English [language] music does that,” Jam said. The son of a Puerto Rican mother and Dominican father, Jam's journey has taken him from his hip-hop roots in Lawrence, MA, to infusing reggae beats into music while living in Puerto Rico, to threading storytelling through lyrics while living in Colombia. Jam said that reggaeton — he's a pioneer of the genre — has evolved over the years from its original underground urban sound, which is likely a reason for its recent mainstream success. It's also more universal, reflecting the influences that musicians like Jam have brought to the genre. His latest album, Fénix, is a reinvention of all these influences. “There’s a new movement now, a new beat, a new sound. It’s where music is going right now,” he said. One of the reasons for the mainstream success of this new era of reggeaton is, in part, due to timing. Urban pop or danceable reggaeton started to manifest itself in the beginning of 2014 as streaming services were taking off, according to Rocío Guerrero, head of Global Music Cultures at Spotify. Baila Reggaeton, Spotify’s first Latin playlist, was created in late 2013, and once Spotify had a way to track trends, they started pulling huge numbers on their Latin playlists. The chart shows the explosive growth rate that Reggaeton has experienced since 2014.Courtesy of Spotify. Before streaming dominated listening habits, it was hard for a song from smaller countries, like Venezuela or Italy, to gain traction. “I knocked on doors at radio stations for them to play my song,” Jam said, recalling his career in the '90s. "It's quite different now." To reach the Global Chart on Spotify, artists in the Latin genre go through a pyramid test of 500 Latin playlists. First, a song is tested with local and global playlists for every genre using data and user feedback. When a song does well, it moves up to playlists like Baila Reggaeton, then Viva Latino (both are in Spotify’s top 5 most streamed playlists). Once a song reaches Viva Latino, it's more likely it will end up on the Global Chart. These global playlists allow people around the world to listen and discover songs at the same time, making the impact of a popular song even greater. "Baila Reggaeton in Spain is the same playlist that it is in LA,” Guerrero explained. Take Luis Fonsi’s and Justin Bieber’s "Despacito," for example. “Without Bieber, it was already number 3 globally on Spotify. Millions of people, Latin and non-Latin, were already getting exposed to it,” Guerrero said. When Bieber asked to remix "Despacito," it was a great way for non-Latin listeners to give it a try. "But the song was already successful globally,” Guerrero added. The benefits go both ways: artists gain new audiences, while their music has greater cross-cultural appeal. Guerrero pointed to the success of songs by mainstream artists such as Ed Sheeran's "Shape of You," which is the most-streamed song on Spotify, and Drake’s "One Dance." Thanks to streaming success, Jam said the outcome has been a pleasant surprise. “I knew our music was going to be big, but I didn’t think it was going to be the way it is now,” he said. That increasing popularity has brought more clout, Jam added. He's been using his growing audience to get his voice out on issues of relevance to many in the Latino community. Last September, Jam partnered with Unidos Por Puerto Rico to help raise funds for those affected by Hurricane Maria. He also collaborated with Spotify to help create a playlist intended to support DREAMERs, an issue he feels strongly about. “This is your country, this is what you know, you were raised here,” Jam said about the young immigrants who lack legal status but have lived most of their lives in the U.S.
As Jam's reach continues to grow, Spotify's Guerrero said it's hard to see a future that's anything but bright for musicians like him. "The internet would have to break for this to stop. Latin music is still going to be big because of market size. There’s so many Latinos around the world that are listening to this music; It’s not going to go away," she said. And that could lead the way for more genres to grow too.